This is the story of one of the greatest scientific achievements of all time. 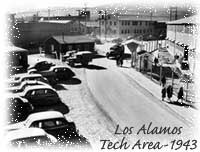 It is the story of the founding of the Los Alamos Scientific Laboratory and its successful secret mission to create the first atomic bomb, the weapon that ended World War II. "We (the military leaders at Los Alamos) came up through kindergarten with them (the scientists). While they could put elaborate equations on the board, which we might not be able to follow in their entirety, when it came to what was so and what was probably so, we knew just about as much as they did. So when I say that we were responsible for the scientific decisions, I am not saying that we were extremely able nuclear physicists, because actually we were not. We were what might be termed "thoroughly" practical nuclear physicists."